Part of the Salil al-Sawarim mini series – a blast from the past of pre-IS/ISIS materials that are of grave importance to the IS ecosystem and the framework of Sunni extremism. Any Sunni jihadist video incorporates elements and theological ‘narratives’ (question of habitus) that are visualized and implemented for their target audience – that target audience is Arabic native speakers who ideally understand substrates of Sunni extremism having been brought up within a Sunni Arab habitus. Sunni extremism has a text rich history and tradition as outlined before that predates IS and goes back to the first organized manifestation of Sunni extremism in Afghanistan in the early 1980s. 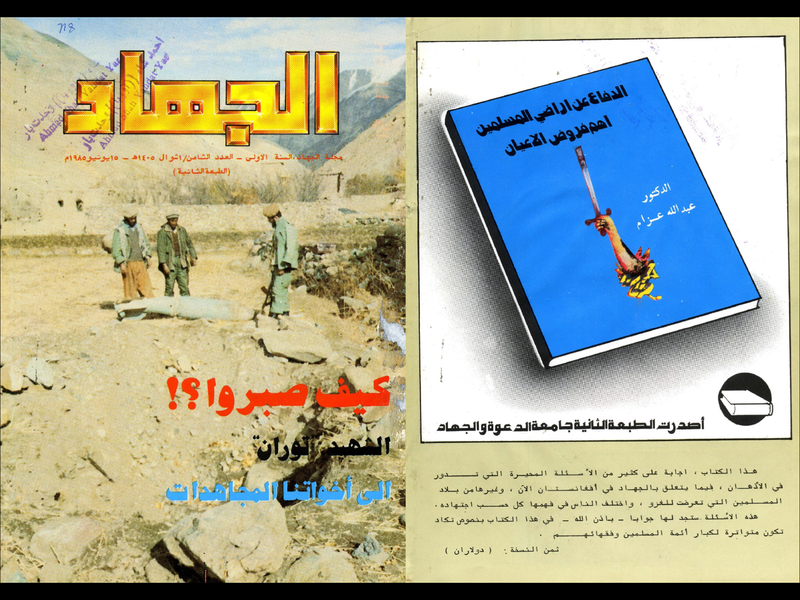 Already in the 1980s, when hand drawn maps and black and white photographs enhanced Arabic type written magazines, within the jihadist mindset Afghanistan was carved out of wilayat – that then became known to a broader audience due to IS media work and non-Arab foreign fighters addressing their target audiences in their native languages. Yet, with the majority of Sunni extremist materials being broadcast to an Arab target audience above all others – as the Sunni extremist movement is dominated by Arab members – the overwhelming majority of (online) releases by Sunni extremists in general are in Arabic and all non-Arabic media items have references to originally Arabic language writings. Salil al-Sawarim 2 (SAS2) shows fighters conducting hit-and-run missions, infiltrating Iraqi cities, such as Hit, Ramadi, or Haditha to capture and execute Iraqi counter-terrorist or government officials, and then withdrawing to the remote desert. This modus operandi was a common theme for AQ in Iraq that morphed into the Islamic State today – with al-Furqan over the past decade and a half regularly releasing videos of hit-and-run missions, IED strikes on US vehicles, sniper attacks and hostages. While the 2012 and 2013 parts of Salil al-Sawarim videos highlighted pre-ISIS capability to undertake hit-and-run strikes disguised as Iraqi SWAT and police units, the 2014 release of the fourth part sought to document. 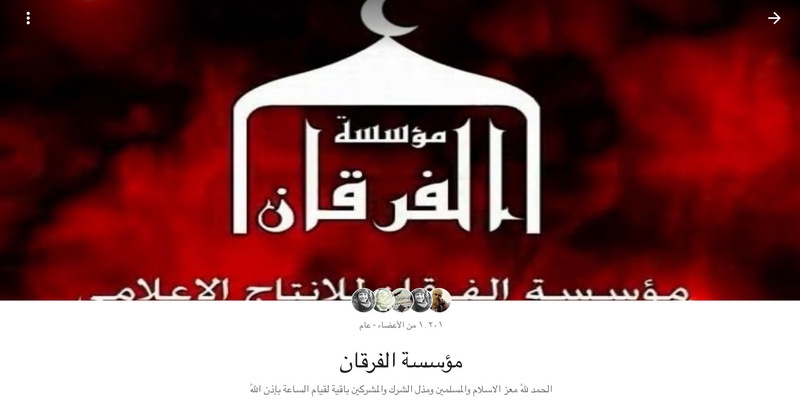 It is important to understand the full framework of Sunni extremism to comprehend the dynamics at work in the Arab world in particular as of 2018.Major video releases such as the four Salil al-Sawarim are the core of the post-2014 video productions of IS – showing the implementation of the “prophetic methodology”, the systematic execution of Shiites in Iraq (and later Yezides and bringing that mindset to Syria to combat the Alawite dominated Syrian army), the use of stolen Iraqi government police uniforms to infiltrate and kill as many as possible, the systematic intel-styled rooting ouf of high value targets; the coerced repentance of Sunnis in IS “liberated” areas, who have/had not other choice but to join or submit to ISIS – and who are now faced as of 2018 with a new wave of deadly sectarianism by the new forceful rule of Shiite militias driving their own agenda; the visualized concept of theological and historical coherent elements such as inghimas and shuhada’; the personal messages of (foreign) fighters addressing their Arab target audience in modern colloqiual Arabic to project Islamic knowledge in a preacher styled religious-authoritative setting and by thus are far more powerful and convincing than al-Zawahiri reading a script of the screen; all of these examplorary elements are tied to hundreds and hundreds of pages of Arabic text – historical as well as contemporary crafted by Sunni extremist key writers – and resonate within the Arab target audience and allow new members to initiate into this movement. The second video also introduces footage that would become commonplace in “Islamic State” propaganda: a professionally-laid out shooting range where many masked men are training. The weapons shown include the classic Kalashnikov assault rifle, as well as the much glorified – and often seen in jihadist videos – Pulemyot Kalashnikova (P.K.) heavy machine gun. SAS2 is more sophisticated than its prequel; the attacks by the Mujahidin appear more precise, professional and deadly. SAS2 emphasizes the importance of media work, featuring an IS media operative preparing crates of DVDs to give out to Sunnis in the towns and cities that will be attacked but not immediately occupied. A Mujahid is interviewed and introduced as a “soldier of the Islamic State”. Iraqi cars, gear and elite police SWAT equipment are handed out to the graduates of the training course. The video also features action footage in various towns and cities at night. Iraqi soldiers and policemen approach IS fighters disguised in special police uniforms to greet them, believing they are comrades, only to be executed. Those who IS considers high-value targets, predominantly collaborators and Sahwa officers, are at the centre of the film. The film showcases IS laying the groundwork to eventually take over the territory cleansed of functionaries loyal to the central Iraqi government. A blog named “Islamic News Agency – da’wa al-haqq” described the second SAS movie as a documentary in Full HD, with 49 minutes of IS fighters in special counter-terrorism vehicles conducting assaults in various cities and killing dozens of Iraqi soldiers. The third video of the Salil al-sawarim series was released on January 17, 2013. By this time, the “Islamic State” was seeking to consolidate control of territory in Iraq and the purpose of SAS3 was to document its proclaimed campaign Hadim al-aswar (“take down the walls!”). Replenishing fighter ranks with freed inmates who have little choice but to support and join IS. SAS3 features freed inmates of the Tasfirat prison in Tikrit who have assumed or resumed leadership roles within IS. These men inform the audience of the hardship and torture endured in prison while relaying theological interpretations framed within the need to act. The Sunni community is repeatedly portrayed as driven to extinction by Iranian-backed Shiites and Western enmity. In addition, every IS armed operation is framed as an altruistic act for the Sunnis in Iraq and Syria. The specific Sunni extremist interpretation of the Qur’an and the Hadith are put in practice; for example, a Mujahid issues a call to prayer while standing next to slain enemies. Such footage is intended to portray IS as the only Sunni group willing to resist the Shiite takeover of Iraq and Syria. The “Islamic State” is the first Islamist movement to make highly professional use of the Internet for “missionary purposes” (da’wa) related to territory seized from sovereign states and having had the ability to control these for a longer time. The control of strategic towns and even huge cities such as Mosul, parts of Ramadi (2014-2015), Fallujah, and Raqqa, the capital of the “Caliphate”, allowed IS media workers to continuously produce new video propaganda from both the ‘hinterland’ as well as the frontlines. This enabled jihadist media strategists to convey several messages; firstly, they showcase IS members building and maintaining critical infrastructure for civilians, while fighting, bleeding and dying for their altruistic project on the frontlines. They also show IS fighting a rich blend of enemies, including air force raids by the “crusader alliance” and various Shiite, Kurdish and Christian militias on the ground. These sequences are intended to convey a sizeable Islamic state populated by people who have adopted a real Muslim identity. This is a legacy new and less initiated members can quickly come to terms with: what are we fighting for (as was outlined by al-‘Utaybi in 2006 or Abu Hamza al-Baghdadi in 2005). The dangerous difference is that a secret and hidden mindset comprising of over thousands of pages written in Arabic by AQ and later enriched by IS “scholars” is available – mostly unchallenged – online that showcases and demonstrates in often times humble and honest words by men who have bled and died for their beliefs, why any “true” Sunni Muslim should follow their path and reclaim violently territory lost by IS and/or attack clearly theologically defined enemies as legitimate to attack worldwide. Another category: the 1980ties jihad against the soviets. I recently had the chance to look at the famous “encyclopedia of jihad” – thousands and thousands of pages on weapons, security, intelligence, espionage, prisons etc. Most of that are actually translations of US Army and other documents which the West had provided to the Mujahidin of the 1980s to combat the Soviets. But these translations have over time been altered and experience from the field aswell as “tales of soldiers and commanders” have entered these encyclopedias – all of it in Arabic. Now all of these documents are widely availible on the internet, mostly in the radical-islamistic arabic forums. Most of these documents bear the signature of the maktab al-khidmat, a “service office” created by – most prominently – Abdullah Azzam and Gulbiddin Hekmatyar. Together with bin Laden, these offices established lists of recruits, which were the basis for further jihad activity in Afghanistan – the rest of the story is more or less know. Please note that these documents and lists bearing thousands and thousands of names of people who underwent training and combat in Afghanistan are the origin of the name/label al-Qa’ida (the basis). Its important and quite interesting to go through these documents, most of them are hardly readable as they are scanned to PDF from the original typewriter copies, but importand links can be found. 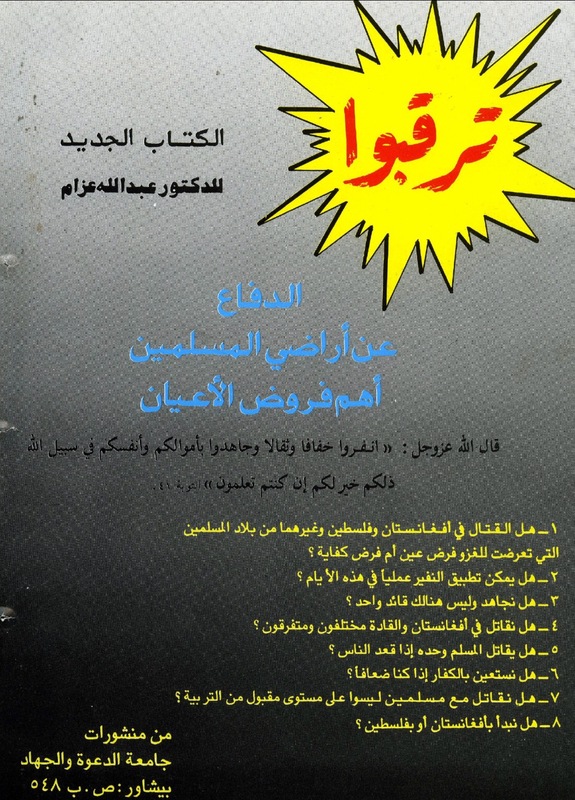 Lots of information on military hardware and combat skills show up in the mu’askar al-battar, a military magazine of the saudi cells, published parallel to the voice of jihad. We thank the government of Pakistan, a government by the people for allowing the arab brethren to stay on their soil, despite of the heavy preassure from the enemies of God because of the victory of their brethren, the afgan-mujahidin.